Most of the hosts on Airbnb in the early days were renting out an extra room in their home, a second unit in their multi-family, or even their own living space short term while they, themselves were away. However, with the wide adoption of Airbnb came an opportunity for investors. As of late, a growing number of the hosts on the platform are investors and their rentals are specifically designed for short-term stays. A study done by David Wachsmuth of McGill University used estimates from AirDNA which tracks and analyzes Airbnb data to determine what percentage of hosts in New York City were investor-operators. The study found that about 12% of the Airbnb hosts in NYC were investor’s operating multiple listings for different properties. That 12% accounted for 28% of the total NYC Airbnb revenue, (or $184 million out of $657 Million from 2014-2017). This data shows that there is revenue to be generated for investors, but is renting an apartment on Airbnb more profitable or a better strategy than simply renting for a traditional 12-month lease? We’re going to take a look at two factors that should give potential Airbnb investors pause before implementing the short-term rental strategy. Expenses: In most circumstances, particularly in popular cities, a well-run Airbnb will generate more yearly revenue than a traditional 12-month lease; however, in ALL circumstances, the expenses with running a short-term rental unit are higher. You will still pay property taxes, insurance, utilities and maintenance as you would with a traditional rental property. However, with STR’s you’ll also have to pay for set up, furniture and furnishings, turn over, cleaning, consumables, booking fees, and some kind of property management to maintain the property. Last but not least, you will also incur the fees due to Airbnb and potentially additional hospitality taxes if your local municipality requires. Setup Costs: In order to make your apartment unit ready for a short-term rental, you will need to purchase (or rent) furniture and furnishings. This can be a fairly large capital expenditure depending on the size of the property. Even a small one-bedroom apartment could cost at least $5,000. Once you add up the bed, table, chairs, couch, TV, linens, pots/pans, kitchenware, etc. Investors are furnishing their properties with modern, picture worthy décor in order to differentiate their properties and stand out from the rest of the competitions. Gone are the days when you can throw a spare mattress and your mother’s old couch and rent the space for top dollar. As Airbnb has experienced massive growth, its users have become more accustomed to having more options and therefore are more selective about which properties they will rent. Turn Over: In order to ensure that the property is ready for the next guests, you will need to pay someone to clean the unit, do the laundry and address any issues or damage after each guest leaves. Most hosts will charge a cleaning fee to cover the cost to clean the unit, but don’t forget the additional time for coordinating and management of the cleaners. If you’re not doing it yourself, you will need to hire a property manager to ensure everything goes smoothly. One bad review on your unit can significantly hamper your ability to rent it for top dollar. Consumables: Don’t forget about the consumable household goods such as toilet paper, paper towels, dishwasher soap, laundry detergent, trash bags etc. Not only are these items relatively expensive, but you must keep resupplying them which means time spent taking trips to the store for you or your property manager. While some investors have been able to optimize this with services like Amazon Fresh or Google Express, someone will still need to organize and stock the supplies. Booking Fees: Airbnb charges hosts a 3% fee for all bookings made on their platform. Many cities and states are also starting to charge various fees or taxes for short-term rentals. Property Management: One of the most time-consuming aspects of running a short-term rental property is the additional management involved. Aside from managing the bookings and messaging to the guests on the Airbnb platform, there is additional onsite management that is required. If a guest gets locked out, or something breaks, or they can’t figure out how to turn the heat on, they will be calling the host and expecting them to resolve it. Therefore, the biggest expense can be for property management. Full-service property managers will typically charge a 20% fee for all bookings to essentially allow the host to be completely passive. When you consider that a traditional rental may cost anywhere between 6-10% to property for management, the additional management of a short-term rental can eat up a big chunk of the profit. Regulations: Many cities and municipalities have started conducting studies and analyzing how Airbnb affects their local community and how best to regulate the platform. 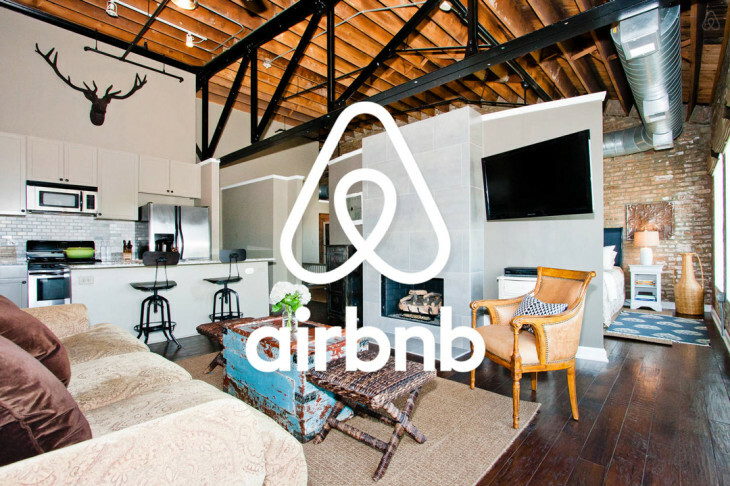 Numerous studies done by cities and independent researchers have concluded that Airbnb and other short-term rental platforms are impacting the traditional rental market. Cities argue that the conversion of traditional rental units into short-term rentals is decreasing the supply of rentable units and thereby driving up rent prices for local residents. This study done by NYC Controller Scott Stringer claim that Airbnb has cost NYC renters an additional $616 Million in the form of increased rent costs. In addition to the rising rents and the decrease in supply, there is strong opposition against short-term rentals within the community as neighbors and government officials do not want de-facto hotels with transient populations popping up in the middle of residential neighborhoods. San Francisco has enacted laws that restrict investor-operated units by limiting the number of days a non-owner occupied property can be rented to only 90 days per year. It does not prevent an owner occupant from renting a room in their apartment, but it directly targets the commercial operators. The city also requires every Airbnb listing to be registered with the city so that they can enforce compliance. In January of 2018, this law was enacted and instantly cut half of the Airbnb listings in San Francisco. This month, the city fined two Airbnb hosts, (full-time investors) $5.5 Million after discovering that 14 of their units were being rented on the Airbnb platform year-round. It’s not just large cities that are beginning to regulate short-term rentals, smaller cities have begun to do it as well. Seven Hills, Ohio, a city of just 11,000 people, outside of Cleveland has banned all short-term rentals outright for 1 year while they create a proper regulatory structure. In San Francisco, investors that had been operating full time short-term rental properties saw their once profitable business model fall apart and become illegal almost overnight. Other cities like New York City have followed suit and enacted similar laws. Recently, bills to regulate short-term rentals have been introduced in Boston, Austin and other cities looking to take steps to curtail investors operating on platforms like Airbnb. As an investor, you have to determine whether operating a business model that cities are actively trying to restrict, is worth the risk. The capital expenditure required to start a short-term rental is challenging to recoup if the model were to become illegal. Things like furniture, kitchenware, and linens purchased for the short-term rental depreciate to pennies on the dollar, not to mention used furniture and similar items are hard to resell. The key for investors evaluating Airbnb as a strategy is two-fold. First, don’t get over excited by the strong revenue short-term rentals can produce. Fully vet and calculate all of the additional expenses, fees, and taxes associated with running a short-term rental unit. That extra revenue gets allocated to additional expenses faster than you might think. Second, research the regulations for STR’s in your market carefully. If no laws currently exist, you’ll want to pay attention to the rhetoric of the city’s leadership to determine how long it might be before tighter regulations come, as they are inevitable.